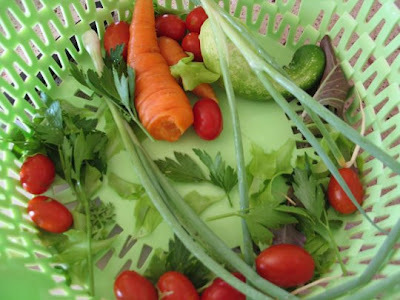 Inspiring Ideas with artist Jeanne Winters: Swap, Harvest & Dinner! Another first: I joined in my very first online "swap" this past week! I actually did two swaps but the second isn't done, yet. 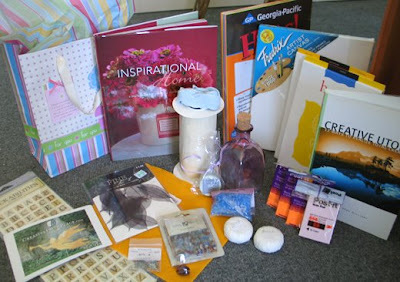 This first one with Justbeconnected.com was to swap fun things you have laying around in your craft area that you have too much of or that just aren't "you." 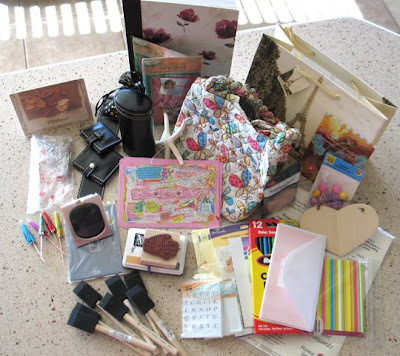 I received this package from my swap partner Melba: Thank you, Melba! I love it all! It was really fun. Here's what I sent her ... (OK, my book is definitely "me" but I had to add it!) Check out this next shot. One of my favorite dinners ... grilled salmon!! My fishmonger had some awesome wild Alaskan salmon fresh in and my honey grilled it to perfection for us! Isn't his presentation great!? On a bed of spinach and whole grains - deeeeelish!! 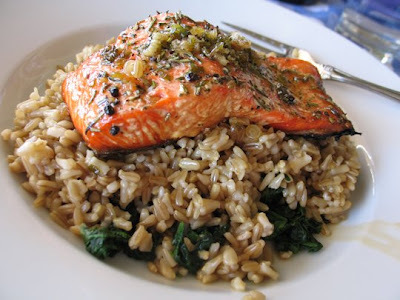 I want to be part of the contest too :) You know I'm a big fan of all your work... but I have to say the best thing on your blog right now for me is the picture of your delicious salmon dinner and the greens from your garden... yum! !